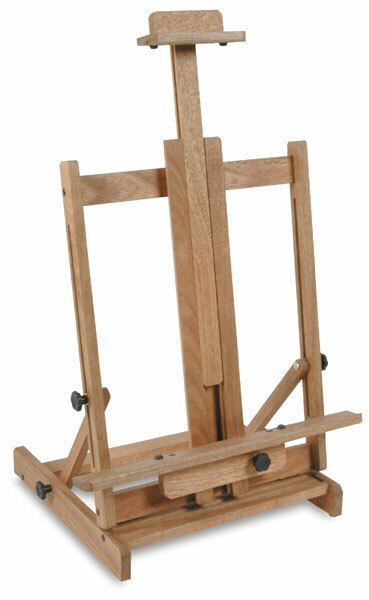 This sturdy and durable easel can be used on any flat surface. Its expandable mast adjusts to accommodate canvases up to 40" high. Easy angle adjustments can be made using slide guides. The Richeson Tabletop Easel folds flat for easy storage and is 18" (46 cm) high. It is made from environmentally friendly, renewable Lyptus hardwood.